If you were a regular reader of This Rubescent Life, then I offer my sincerest apologies for my radio silence. If you’ve recently discovered my site, then I welcome you with open arms. Whatever the case may be, I am glad you’ve decided to stop by on this day in particular. The last year or so has been wrought with many changes. Though I’ve not captured every shift in my personal existence and the public sphere, I remained an active storyteller. Challenges discussed on this blog continued to make their regularly unscheduled appearances, but I surprisingly saw dreams come to life. Hospitals, doctor’s offices, and pharmacies are all connected through what seems like one large revolving door, and those standard doors? Well, strangers keep holding them open, inviting me to walk through and enter the land of opportunity. Being a full-time caregiver and a writer (or content creator… or storyteller — whatever you choose to call it) has been my narrative for the last few years. It seems only natural that I would eventually marry the two and create something possibly powerful. After all, the proverbial and invisible “they” say to “write what you know,” right? For a long time, I ran from regularly writing about being a caregiver. Why? Because it’s not interesting. It’s depressing. No one wants to read my tales of wound care and woe. Recounting for readers my journey through the search for acceptable and affordable Assisted Living Facilities is wildly unimpressive. Aisha in front of the official #BlogHer17 sign and topiary. About two weeks ago, I had the distinct privilege of attending the nation’s largest women’s content creation conference, #BlogHer. My boss informed me we were attending back in December and I’d been slowly but steadily about to burst! This event boasted incredible and inspirational keynote speakers ranging from living tennis legend Serena Williams to American political royalty Chelsea Clinton, feminist comedian Margaret Cho to president of Planned Parenthood, Cecile Richards. Powerhouse voices were in the house! As much as I loved hearing these amazing speakers, I believe I most greatly valued the connections I made during down time and breakout sessions. I met so many creative makers and innovators who inspired me to put myself out there. But among all of those cool connections, some of the absolute coolest connections I made were during the breakout sessions. Aisha (far left) in line, waiting to ask a question at the “Intimate Writing: How to Balance Your Private and Public Personas” breakout session. These ninety-minute meetings offered advice from the experts on subjects from how to increase your social media views to engaging in daily mindfulness. The sessions that impacted me most greatly are those with the subject matters closest to my heart. Sessions like How to Navigate Mental Health Issues Online and Offline and Caregiving, Including How to Integrate Self-Care Into Your Mix of Responsibilities were no less than amazing, and I truly consider it a divine appointment that I was there to bask in the wisdom and warmth of these speakers. Activism for the Part-time Revolutionary: How to Make a Real Impact panelists: (L to R) Carolyn Gerin, Jamia Wilson, Erica Mauter. Not only did I learn a wealth of helpful information on these topics, I found community in their presence. Interacting with people who understand and can relate to our personal hardships makes such a difference in the life of caregivers and those who battle mental illness. Attending #BlogHer17 provided me with the support and courage I need at this particular time in my life to take a major leap of faith. I appreciate your support in advance and cannot wait to share the excitement with you! As millennials go, my life is pretty unorthodox. I don’t live in a gentrified neighborhood with a rescue dog. I don’t have a yoga body or belong to an adult kickball league. I live at home. Actually, I live in my aunt and uncle’s home. With my parents. My mother, a victim of dementia. My father, a survivor of two strokes and a heart attack. If that weren’t wacky enough, I am also a quasi-employed, unlicensed non-driver. I suffer from social anxiety disorder and depression, and the next of 40+ surgeries is just around the corner. As you can imagine, all of these things make me very popular with my peers. Sure, people think I’m nice. They just wish my life weren’t so… complicated. Every weekend I mourn a little for the life BuzzFeed tells me I should have. Subtle spin on a stock psychological question? Perhaps. But I entertained an answer nonetheless. Three of my girlfriends, my mother, and a book all told me to let go. But let go of what exactly? Relationships? Expectations? Society’s definition of success? As millennials, we are accused of arrested development. Spoiled, entitled brats with various strains of Peter Pan Syndrome. But this millennial is ready to grow up. This woman is ready to let go of conditional relationships and society’s prescribed expectations of who she should be. She is ready to navigate life in ways that may not always be popular, or hip, but that will ultimately equip her with everything she needs to change the world! As I navigate this thing we now call “adulting,” I realize that my path will be unorthodox. It won’t look like the path of my peers. It may not include a gig at a trendy tech startup. There may be no mid-week, underground dance parties at ultra-exclusive speakeasies. I may never get to deliver any awe-inspiring TED Talks. Or maybe all of these things will happen and my life will be the quintessential millennial dream come true. But I refuse to allow the quality of my life to be defined by some ethereal counsel of cool. I think my life will be a good one. It will be disappointingly normal and uneventful. It won’t be insta-worthy. But it will be filled with love and good intentions. I will get my driver’s license. My role will shift from caregiver to employee. Or entrepreneur. I will own my own home and open it to friends and family in need of refuge from the messiness of life. Maybe I’ll get married and we’ll have some kids. Maybe I’ll fly solo. Perhaps I’ll get a dog. I will let go of relationships that have ultimately run their course, and I will pour into anyone willing to put up with my lack of cool. I will sharpen my skills and hone my crafts and use them whenever and wherever I can to brighten at least one little corner of this place called Earth. I will make some mistakes, of course. But my mind will be open, my heart will be happy, and my life will be… good. Unseasonably cool chill in the April air, dim tungsten lighting overhead. 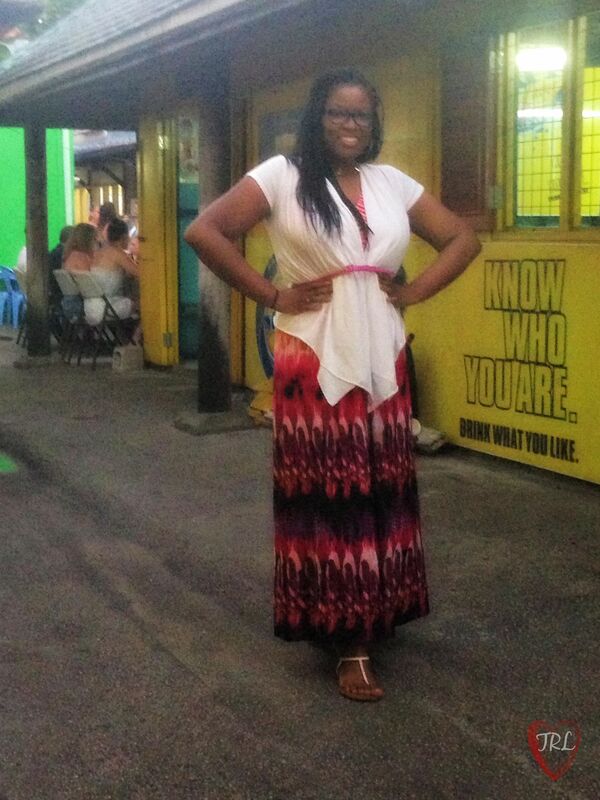 I weave my way through a sea of maxi dresses, dreadlocks and dashikis. The voice over the microphone grows louder with every step toward the lone empty rod iron chair. I tuck myself between the table and the seat, fearful of being a disturbance, eager to soak up this new experience. I was at my first poetry slam. After years of admiring poets like Staceyann Chin and Georgia Me through my television screen on Def Poetry Jam, I was finally seated among the bleeding hearts and wordsmiths. The odd and the powerful. The oppressed and the unsilenced. Finally, I was among my people! But who exactly are “my people?” I am not a militant, Angela Davis wannabe, but I fight for racial equality. I am not a member of the LBGTQ community, but I am an ally. I am not outrageous and outlandish, with a mouth full of metaphors and profanity. I’m just me. A plain old middle-class, Christian black girl from the super-suburbs of America. As I sat there, amongst the painfully political and the unapologetically black, I couldn’t help but wonder if they saw through my mask. Could they tell that the deep side part and single cornrow of my braids was irritating me because my hair kept falling in my face? Did they know that my wayfarer glasses aren’t worn ironically as a part of my personal homage to Urkle, but that without them… I can’t really see very well? Did they see that my cooler-than-cool swagger as I strolled through the coffeeshop to order my peach blossom tea, was really just my body avoiding a meltdown as I awkwardly slithered my way through the crowd of unfamiliar faces in a semi-familiar place? Maybe everyone could see right through my artsy-fartsy veneer to the plain, boring nuget center. Or maybe not. Maybe I fooled them all. Either way. I think I’ll come again. Maybe I’ll speak my words. Maybe they will listen. Maybe we’re all just square pegs trying to fit into round holes, bouncing from one adventure to the next, that we may finally find the place that we belong. Language is such a beautiful and empowering tool. When you learn a language other than your original, native tongue, you immediately connect with new cultures and open yourself to a whole new world of experiences. Since about the age of 5, I have had the privilege of learning foreign languages. At my Montessori pre-school we were pretty fancy. We learned French. In the fourth grade at my super-suburban elementary school, we were still fancy and given the opportunity to learn either French or Spanish, but I cannot remember which language I chose. I’ve dabbled in a few different languages over the years. By high school, I decided that Spanish would indeed be my jam. It is a language that seems so natural to me. The j’s that are h’s. The double l’s that are y’s. The double r’s that you roll. It speaks to me, as it were. My senior year of high school, I was enrolled in freshmen Spanish. Throughout the semester, I began to notice the tremendous maturity gap between myself at 18 and my 14-year-old classmates. Despite the difference in age, I actually learned a lot from my little friends. I recall one child telling our Romanian-born teacher that he dreamed in Spanish one night. What does that mean? he asked. She told him that dreaming in a foreign language is good because it means that its ways and meanings have seeped into our subconscious. This nugget of knowledge stuck with me throughout college and continues to follow me today as I find myself thinking and talking to myself en español. While I am nowhere near fluent, I am thrilled to see that this romance language has clearly become a part of who I am. But ¿como te llamas? ; parlez-vous français? ; and caveat emptor are not the only phrases with which my mind is well acquainted. Sure, I’ve taken a little french, Latin, and even ASL. (And let’s not forget that angsty teen sarcasm). But the words and phrases that are most impactful in my life are those of the Holy Bible. One battle I have is anxiety dreams. It’s something I’ve experienced for a long time and I had sort of accepted the idea that this is something I had no control over and with which I would always struggle. A few nights ago, I had a dream. While I cannot remember all of the details now, there was one very key component that made this dream far different from all the others. I, for the first time I can recall, responded to the source of dream anxiety with verses of Scripture! Someone said I’d never amount to anything? POW! Jeremiah 29:11! You say I can’t do it? Wham! Philippians 4:13! Somebody told me I need to worry about some basic mess??? Words have power. The more words you know, the more power you have. Take up a foreign language. Let it become part of you. Take up the Word of God. Let it guide you. Let its ways seep into your subconscious and light the path of your soul. My first series, Life Lift, has come to a close. I thank you so much for joining me on this journey. Sharing the things that I have done to help improve the quality of my life is truly a project of my heart. I called the series Life Lift because I strongly believe that so many people are living life at a lower elevation than our ultimate destiny. Suppressed by our past experiences, current circumstances, and defeatist mindsets, we can find ourselves simply existing instead of truly living. At the end of the day, this series is all about treating yourself right. So many people live stressed out, frustrating lives because we fail to check in with ourselves and make sure we are okay. I know this notion can be particularly challenging for parents; while I do not have children, I am a full-time caregiver for my mother and I understand how easily and unintentionally caregivers can neglect themselves. About four years ago, when I left my job in healthcare to be with my mother full time, my health quickly began to deteriorate. I dedicated every moment of my day to my mother’s care — doctor’s appointments, medication gathering, physical therapy, occupational therapy, bathing, feeding… loving. If I ate, it was a couple of bites of a McDonald’s cheeseburger and half a Coke to keep me awake. I began to lose weight, but not in a healthy way. I suffered severe migraines, chronic hives, and digestive challenges due to stress. I knew something had to change. If I was going to be there for my family, I had to be there for me. So I began to pray and ask God for guidance. I asked for help getting healthy and staying positive. Although the daily stressors of being a caregiver remained, I began to see progress in my own life. I began getting regular exercise and made sure I ate every day. I even took the opportunity to read a few inspiring books. This message is not intended to be some sort of “pull yourself up by your boot straps” lecture. Quite the contrary. Maybe you have no boot straps. Maybe you really are hanging on and feel like life is dragging you by the hair. But I encourage you to do all you can to care for yourself amid the chaos. Life may not always be the party you imagined, but it may not have to be as overwhelming as it is right now. Whether it is five minutes every day or a 24-hour per day commitment, you must to determine that you are worth the time. Once you have made yourself a priority, and begin taking care of yourself, you never know what the results may be. Welcome to my life-hack series, Life Lift! I am over-the-moon excited about sharing these little life lessons I’ve learned in hopes that they might benefit someone else. First and foremost, I am not a mental healthcare professional. I currently have my bachelor’s degree in sociology with a social services emphasis. I do not claim to practice medicine, nor do I have any training in the mental health field. The “methods” discussed in the Series have not been studied or proctored by mental health or medical professional. These are simply suggestions based on one amateur individual’s personal experiences and not intended to treat or diagnose any illness, disease or condition. Always consult a medical professional before beginning any exercise, diet, or nutrition program. If you believe you or someone you know is experiencing a medical or mental health emergency, please contact your local Emergency Services (9-1-1- in the United States) for assistance. Time to make our New Years’ resolutions! Now, I personally do not believe in making New Years’ resolutions. Few people keep them and we often place ourselves under unnecessary pressures for fear of failing. We lose sight of the purpose because we simply want to say we successfully joined the resolution-keeping movement. But what if we focused on making lasting, impactful change in our lives whenever we are ready, one day at a time? For all of you stressing over how to lose weight, quit smoking, or stop Facebook stalking your ex — it is time to renounce the resolution! That’s right! Instead of treating transformation like a sprint with January 1st as the starting line, give your whole life a lift! This new series, Life Lift, will offer daily themes and goals that encourage you to live your best quality of life right now, right where you are. Join me as I share with you how I learned to start living my life rubescently. Discover how I tackle things like weight loss, mental wellness, and self-acceptance. It is my hope that you will find my story helpful and be encouraged to embrace and enjoy this rubescent life! As I sit here in a hotel room outside of Atlanta, my head spins. Sure, I may still be recovering from the madness that is JCPenney on Gray Thursday, but my disorientation began long before yesterday. Last week my parents and I found out that we would need to return temporarily to the U.S. to take care of some things. My emotions were mixed, but then the anticipation of seeing friends and doing some clearance shopping made the idea of a last-minute pilgrimage more enticing. For every stunning and star-studded event I would miss in the warmth of Barbados, surely an afternoon lunch with a gentleman friend or a night out on the town with high school buddies would make up the difference. I thought that perhaps I would be able to spend a few days released from the perpetual mental challenge that is caregiving and have a little millennial holiday fun. But of course, my days have not been spent on lunch dates with dapper Dans and my evenings have not involved getting turnt at the club. I’ve shared how my fair-weather attempt at shopping went. My caregiving duties have been magnified under the illumination of instability. Even attending church on Sunday looks like a possible impossibility. In fact, very few of my tokens of contentment for this unexpected return have come to pass. Any opportunity I saw for fulfilling these pipe dreams seems to be slipping from my fingers as we just found out that we will be making yet another journey the early part of next week. Some people thrive on the adventure of unpredictable travel and would love to have such a hectic schedule. I question whether I am one of these people. I thought I could be, but in just a few short weeks I am beginning to realize that I am not a nomad. While I love seeing new places and meeting new people, relationships are my oxygen. I need roots. I need to connect and develop and grow. We’ve all heard it said that home is where the heart is. But what do you do when your heart is scattered across state lines and oceans? I guess you learn how to breathe in this new atmosphere. You learn to give more than you take. You spread light wherever you go. You leave your impact on the hearts of everyone you meet, that their roots would be strengthened and their hearts would be filled. So, as this holiday season gets into full swing and my coordinates are yet to be fully determined, I will do my best to seek out opportunities to make a difference. To shine a light in someone else’s life. To help make their lives rubescent! This is what one the men who drives for my father’s company said to us while taking us home from our first visit to the famous Oistins Bay Garden & Fish Fry. This spot is the place to be in Barbados on a Friday night. Everyone gathers at multiple restaurants that share space in the market. Everyone is seated at picnic tables, enabling visitors and locals alike to mingle and lime with one another. We met people from all over the world! Northern Africa, England… South Carolina, Illinois. Okay, maybe we it wasn’t exactly a mock United Nations. But it was still really neat to chat with locals and foreigners alike. Which lead me to ask myself: am I a foreigner or a local? While Barbados is my new “home” for the foreseeable future, I certainly cannot say I feel like a Bajan just yet. Undoubtedly, adopting a new country as your home takes time. A lot of time. But in the short amount I’ve time I’ve spent here, the socially anxious part of my brain cannot help but ask the typical “who, what, when, where, and why” of transition. Who will be my friend? When will I meet them? Where will I meet them? Why would they want to be my friend? Now, as an educated woman with a bachelor’s degree in sociology, I understand the danger of making sweeping generalizations. Surely Barbadians are a diverse people with a rich history and a deep well of subcultures representing vast peoples. That being said, as a formerly bullied kid coming from being a minority in a very racially homogeneous society, when I do not see a the proverbial Isle of Misfit Toys on which to plant my freak flag, I tend to panic. I promised myself that Barbados would be a new start for me. Not just in terms of new experiences, but a new way of thinking. I want to open my mind to the idea that I do not need to conform to anyone else’s standards in order to be liked. I will not head for the bottom of the barrel, assuming the socially inept is my appointed lot in life. Of course, I will always welcome the weirdos and the “least of these” – this is my tribe! But I refuse to pigeonhole myself into prescribed identities in an effort to steady the boat. I want to rock the boat, paintbrush full of red acrylic in hand! So Barbados, I am trying out my new mindset on your beautiful people. I have great hopes that rise to the occasion and allow me to engage with your best and brightest, strangest and awkward-est… Allow me to learn you and celebrate you and become a part of you. May your vibrant parrots tickle me and your little green monkey cause me to laugh. Allow your beaches to calm my harried soul, your forests to leave me in awe. Allow me to make myself at home.